During the Taliban regime in Afghanistan since 1996, the appalling and brutal treatment of women became internationally infamous. Then, in 2011, the oppressive Taliban rule collapsed as a result of US-led invasion. However, women are still battling patriarchy in this country, on a daily basis. But one person, Sara Bahai, is directly challenging the male-dominating system of her country. Sara Bahai is a cab driver in Afghanistan. Why is this a big deal? Because, as the recent history suggests, she is first female taxi driver in Afghanistan, and possibly the only female cabbie in a country where it is believed that the saddle of a horse and any other four-legged animal is “haram”, i.e. forbidden Islamic Law, for women. 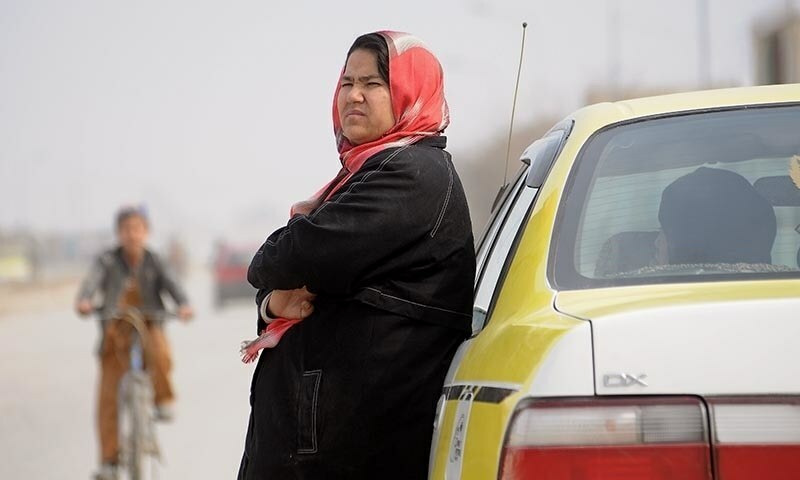 Every day, she takes her Toyota Corolla to Mazar-i Sharif city, capital of northern Balkh province, Afghanistan, where she waits for her customers, and commutes them around. She got her driving license in 2002, and since then, she has been driving along the city streets. She is perhaps the first and only success story of the women in the last 14 years, earning a living, and setting an example for women around the world, but mainly, her country. When Sara started driving, it was not because she wanted to bring about a breeze of social change by doing something bold and exemplary in the male-centric country. Her brother-in-law had been killed by Taliban insurgents in the 90s, and she took in her sister, along with her seven children. With a dozen hungry mouths to feed, and her ailing mother in dire need treatment, she knew she had to do something to bring food to the table. She might have started driving compelled by pangs of hunger, but the society did not empathise with her. Instead, she soon got subjected to jealousy and abuse from men. All because she had ventured into a trade where men had established their monopoly. To attain her driving license, Sara took a class with 30 other people, all of whom were men. They were always ready to vent vitriol for her. But, that did not deter her, and she was among the 10 people in that class to finally get a license. But, even though she was motivated less by the need of equality in the rights of men and women, and more by the necessity to support her family, as well as her passion driving, she realized that it was important for her profession to symbolize women empowerment. The conservative Afghans believe that Sara is defying Islam. They have openly showed their disrespect and condemnation towards her for being an outlier. Most men won’t even hire her, because they believe that women shouldn’t drive for men. She has been shamed, and mocked. Often, male cabbies have deliberately sped towards her, only to swerve in the last minute, just to give her a scare. She has been laughed at and made fun of. But her day-to-day harassments do not end there. She often receives random threats from people. 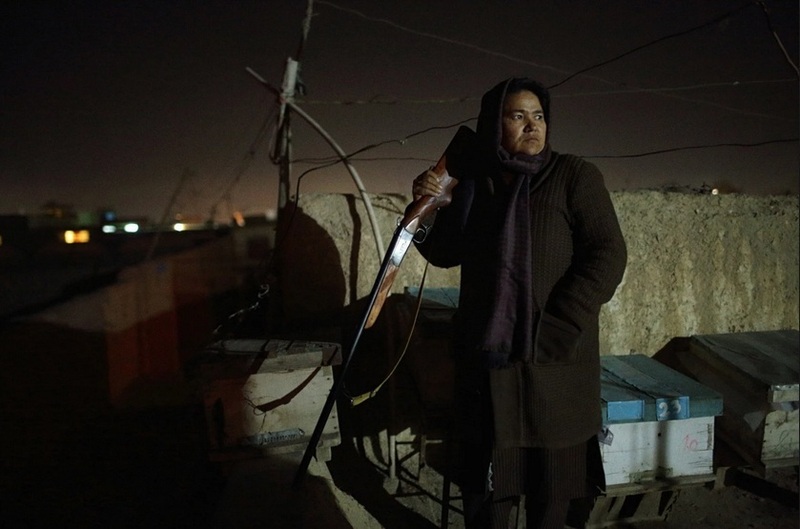 She keeps a loaded hunting rifle in her shanty in the poor neighbourhood of in Mazar-e Sharif. But, Sarah Bahai is unperturbed. So what if the society or her fellow drivers won’t support her? She strives to be independent, and she does not need to rely on anyone for moral support. She is a strong-willed woman – she is brazen and outspoken, and fearless enough to break more than one stereotype. In Afghanistan, young girls are married off at the age of 15, and the marriage of a woman is like a protective shield, but 40 year old Sara has opted to remain unmarried. Her decision to not depend on a man for money and safety is a pragmatic step, rather than a brave one, because she did not want her husband to stop her from earning and supporting her family. She has no children of her own. However, she has adopted two boys, and sends them to school, too. She daily earnings of $10-20, by ferrying people, mostly women, around town, has increased to 5000 afghani i.e. approximately $90 per month. What started as a profession and personal passion has now become a crusade against the conservative detractors. She has a university degree in education, and she is a teacher at Mowlana Jalaluddin Muhammad Balkhi High School on a part-time basis. She teaches other women to drive. She believes that it is time for women to go out, get education, and earn their own living, instead of relying on men for safety and basic necessities. She has helped many women study. As a human rights activist working with a group in Balkh Province, Sara also uses her cab to rescue women out of difficult situations. She often receives calls to solve family-related issues and atrocious situations, involving physical abuse from relatives. She claims to have saved several families and prevented divorces. Sara, who doubles as a mechanic, is glad that she bought her cab. Several years ago, when circumstances were tough, she had to sell the property she had inherited from her father, and with that money, she purchased her Toyota, about 10 years ago. She takes good care of her car. It is a squeaky clean car in yellow and white, with woven seat covers and a talisman for good luck, hanging in the front window, and bears the no. 12925. She takes this precious car of hers, and carries passengers along the Kamarband-e-Baba to Yadgar route, to the suburbs and back. It is a dangerous route, especially for a female cabbie, but she has also taken more perilous routes Maimama in neighbouring Faryab Province. This is a site of active anti-government insurgency, and the police checkpoints on the road are frequently shot at by the Taliban. But, all this does not scare Sara. 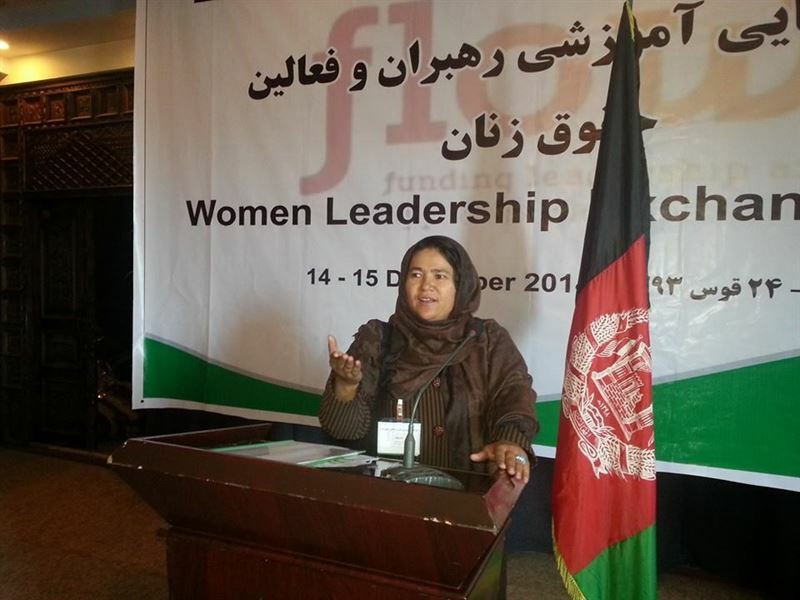 She is on a quest to help Afghan women, spreading awareness, and positive messages. She knows that the wars in Afghanistan have sent the country along a path of regression, and a change in the misogynistic, patriarchy-driven ideals of people will not happen in a day. She even lobbies her male passengers on women empowerment. She once convinced one of her passengers that his belief that Islam prohibits women from driving, is wrong. She knows that in this patriarchal society where women are nothing but inferior, second-class citizens, where domestic violence, non-education of women, trading of women for properties, etc. are common practices among the ultra-conservative Afghans, where they are not allowed to step out of the house to work, the only way to see progress of women in her country at a steady and perpetual pace is for women to fight for their rights and independence, and for men to change their prejudiced perspective. 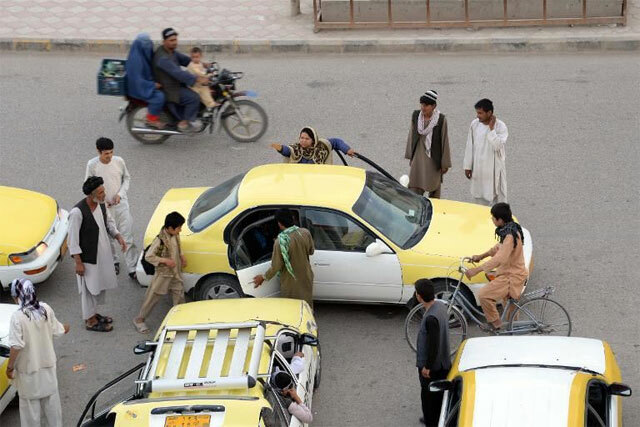 People in Afghanistan are not used to seeing a cabbie in a Hijab, and Sara faces constant resistance from the cynics. But, she responds with revolutionary multi-tasking. Four years ago, she purchased a box of bees for 4000 afghani, which is about $70. Thus began her seasonal business of apiarism. 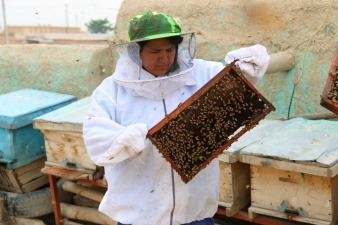 She now has 20 boxes of bees, and with the help of her brother, Taqarol Naqshbandi, who is the director of the bee farming department at the Provincial Department of Agriculture, she earns an extra 20,000 afghani, which is approximately $350 every season, by selling pots of home-made honey at $15 per pot. But, her own income is not sufficient for her. That is why she sold two boxes of bees to two women in her village in Sher Abad. These women have their own bee farms, now. Sometimes, in unexpected places, Sara has been welcomed as a woman who drives a car. She once went to the insecure Shulgara District, but the elders there saw and greeted her with smiles and waves. But, unfortunately, on a larger scale, she is shamed for bringing dishonor to the society, and setting a bad example. But, Sara has been emboldened by these negative and hostile responses. She strives to make changes, and encourage women to the muster their inner strength to fight male-chauvinism and internalized misogyny. She knows she cannot single-handedly upend gender roles, because she has neither an influential background, nor a powerful position. But she is perfectly comfortable with an endeavour to bring about even minor changes at a microscopic level. Her female passengers, who imprisoned within traditions and fear, live their freedom through her. That is why, Sara wants to see more and more women in influential positions. She believes that women in the ministry can bring some real changes for women, while female teachers can promote education of a girl child. Sara’s story is singular, while Afghan women are once more in the face of severe social deterioration, due to the recent departure of NATO. Women’s seat quotas on provincial councils have been cut. The proposal to reinstate stoning for adultery has been made public. The few women who are the only role models, are from liberal families. Despite the fact that the country’s constitution guarantees equal rights for men and women, tribal traditions and religious strictures that subjugate women are what the people practise in real life. Even though the two presidential candidates have promised to boost the status of women in the society, they have also maintained a patriarchal stance to stay strong in the country. Patriarchy is ingrained in the culture of Afghanistan, and Sara Bahai is in a constant battle – at a personal level, as well as for the greater good. She is fearless. She does not care what the people have to say. With her disparagers confined within her rear-view mirror, she is trailblazing a path. Perhaps, someday, more and more women with the same spirit as Sara’s will find the fire within them to tear down all shackles, and follow her path. Perhaps, this path is towards a better future, while the nation itself is about to regress. Perhaps, this regression will somehow find a route to the virtues of the Bahá’í Faith.